Live a life you've always dreamed of in Sun City! "The finest resort amenities & The finest in country club living! 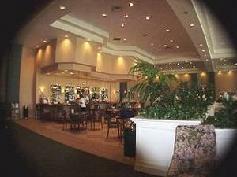 "Sun City Center is a premier 55+ active adult retirement community located 25 miles from Tampa, Florida. Sun City Center offers 200 clubs and organizations to keep you busy, 9 pools to cool off, 4 clubhouses, a Golf & Racquet Club, Country Clubs and 10 golf courses. There are golf cart paths leading to most of the Sun City's Business & Medical facilities, & Free tram service (within Kings Point) along with many other amenities. WCI Communities was voted "Best Builder" for 2005. We have new and resale single and 2 story level condominiums and single family homes in price ranges to fit your needs. With over 18,000 residents Sun City Center is a completely self-contained community. Banks, restaurants, grocery stores, houses of worship, a post office and a nationally acredited hospital are close at hand and easily accessible by golf cart. Your journey begins here in Renaissance, the newest home designs offer the best in Florida Living, With scenic golf course and conservation areas. These gorgeous homes in the heart of Sun City Center feature Luxurious Master Suites, Sprawling Living Areas, Formal Dining Areas Spectacular Kitchens , Concrete Tile Roofs and Security Systems. For an annual fee you can also enjoy Sun City Center's newest addition, the spectacular 40,000-square foot Club Renaissance, exclusively for residents of the Renaissance area of Sun City Center. Club Renaissance features a full service day spa, fine and casual dining, wellness center, mind & body studio, indoor walking track, resort pool and pro shop. All of which are encompassed in a spectacular structure with the finest of appointments. Whether you choose a vichy body treatment, a weight-training session, a pilates class, happy hour or fabulously prepared culinary experience, Club Renaissance provides the ultimate venue to treat your body! Voted America's Best Club! Next on your journey is Kings Point. Live A Carefree, Maintenance free Lifestyle! 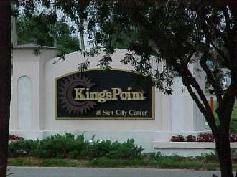 Kings Point offers many great floorplans to choose from. Your Kings Point monthly maintenance fee includes: Water, Sewer, Basic Cable TV, Lawn Maintenance, Roof Maintenance, Indoor and Outdoor Pools, Guarded Entry, Shopping, Churches, Exercise Facilities, Tennis, Lawn Bowling, Social Activities, Restaurant and Snack Bar, Reserves for Outside Painting & Free Tram Service to The clubhouses. With this many ammenities its time to relax. Lets take a look at the clubhouses. 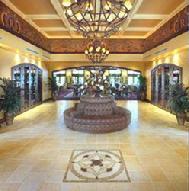 The impressive 90,000 square feet Kings Point Clubhouse boasts a beautiful lobby and Le Perk Cafe. Indoor and outdoor swimming pools accent the west wing of the clubhouse and offer expansive locker rooms and a sauna. The clubhouse aslo features a large auditorium/ballroom which hosts a semi-annual entertainment series of national entertainment. Meetings and club activities are held in the more than 20 rooms and open atrium areas are ideal for relaxing with friends The Kings Point Clubhouse also has a Wachovia Bank branch for residents convenience right in the lobby. Kings Point also has a second clubhouse, The 28,000-square foot Kings Point South Clubhouse offers state-of-the-art fitness facilities and wellness classes as well as a spectacular resort pool. In addition , there is designated cyber-space ,BC's Cafe, a pottery room complete with pottery wheels and art room, as well as general meeting rooms. Moving on. You can enjoy retired life and swing away on the USGA rated fairways in the Sun City Center community. 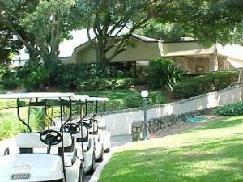 Located in West Central Florida, these courses boast challenging and accessible golf amenities. Sun City Center is a golfer's paradise. There are six golf courses that include three championship, two executive and one equity. Many homes throughout the community are situated on or with a view of a golf course. Sun City has the finest golfing experiences for retired senior citizens that can be found anywhere! In addition to the annual entertainment series featuring big-name talent from stage and screen at the Kings Point Auditorium and the Sun City Center Community Hall, there are locally produced Theater Presentations, Art Festivals ,Concerts, Museums, and Professional Sports within close proximity to the community. Busch Gardens, Cypress Gardens, Disney World, EPCOT center, Disney/MGM Studios, Sea World, and Universal Studios are a just a short drive away. Swimming of course, On most beaches is possible year round. Water skiing, surfing, snorkeling and skin diving are also major recreational activities around tampa bay area. TO LEARN MORE ABOUT THE CLUBS THAT SUN CITY HAS TO OFFER CLICK HERE! !